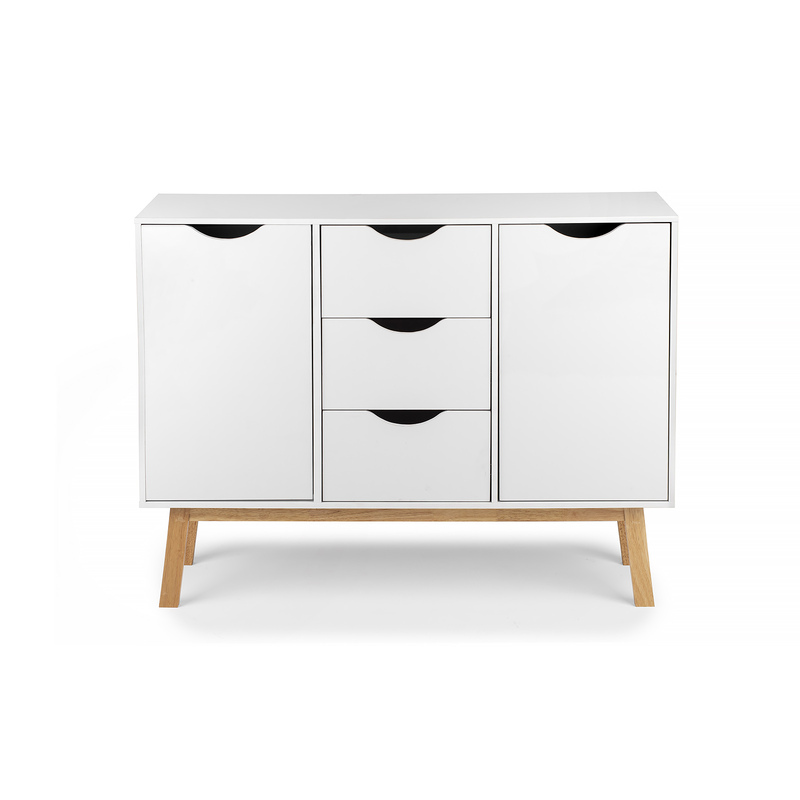 VIGO chest of drawers combines functionality and simplicity.It is characterized by modern, yet minimalist design.Delicate lines and neutral colour palette of white and wood directly refer to the Scandinavian style. 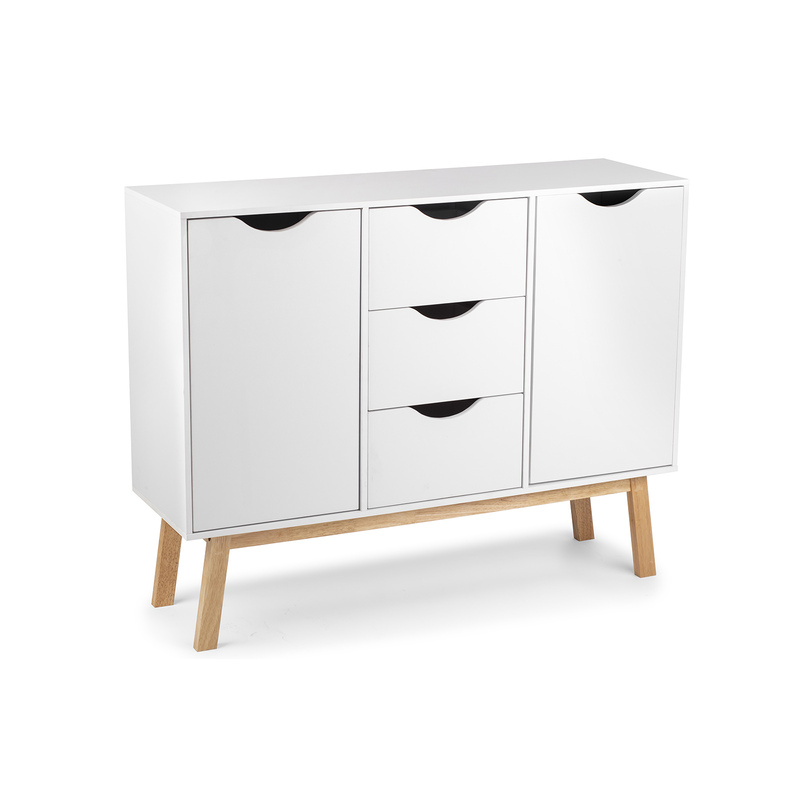 VIGO chest of drawers is very capacious. On both sides there are cabinets, each of them with a height-adjustable shelf. 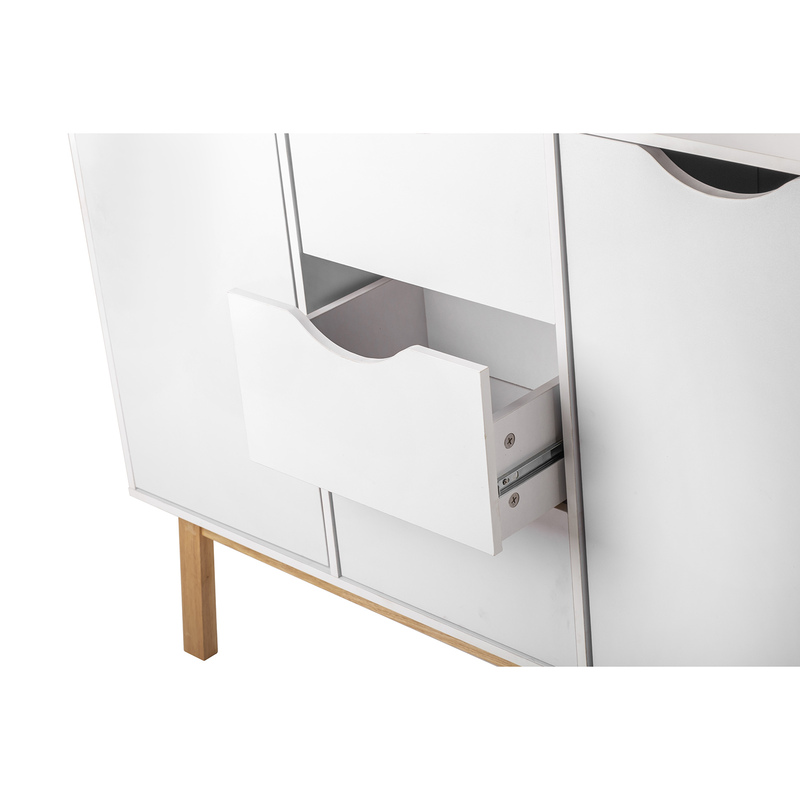 This is a practical solution, as it allows to adjust the height of the space to the size of objects stored inside. There are three drawers in the middle running on metal guides. 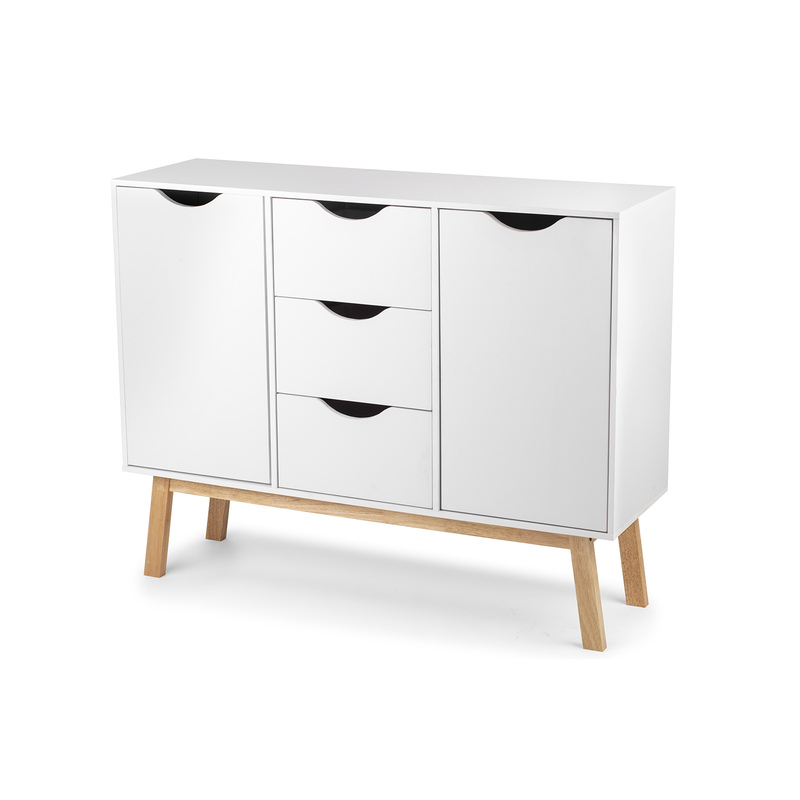 The chest of drawers is made of furniture board with a thickness of 15 mm. And the high legs made of rubber wood will facilitate cleaning work.